Commemorative gifts to Ohav Shalom are a wonderful way to celebrate friends and family members on their birthdays, anniversaries, and special life cycle moments as well as to honor the memory of our loved ones. Options and prices for these gifts to Ohav are listed on the Donation Form. Main Sanctuary Pew Plaques – For a donation of $360 for one plaque or $500 for two, you can inscribe yourself or the name of your loved one or someone important to you on a bronze plaque that will be affixed to the backrest of an existing pew. 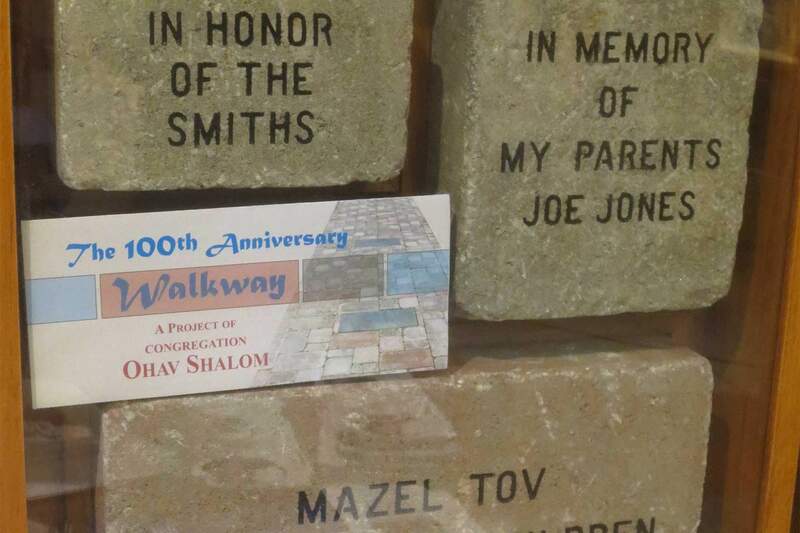 Commemorative Walkway Brick – For a donation of $180 – $2,500 (depending on the size brick and message you select) you can inscribe a brick with the name, date and occasion you are commemorating. 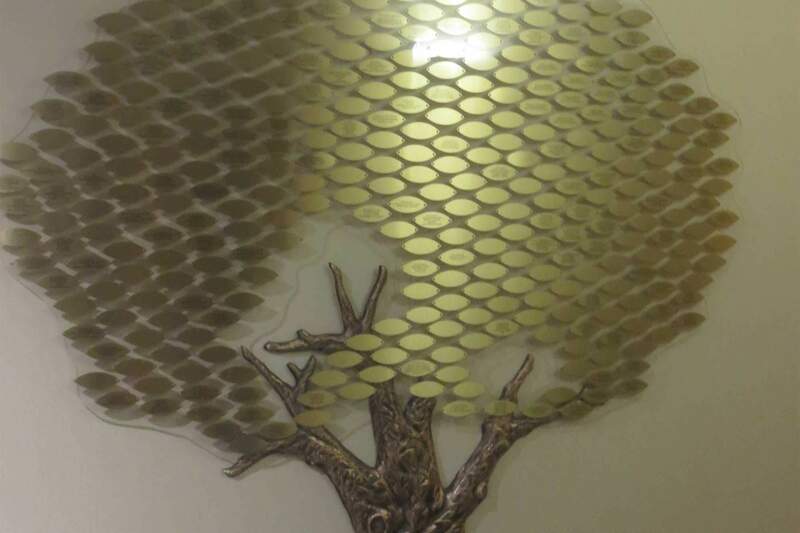 Tree of Life Commemorative Leaf – For a donation of $250 for one leaf or $360 for two, you can inscribe a leaf with the name, date and the occasion you wish to commemorate. There are a limited number of Stone inscriptions available for $540. 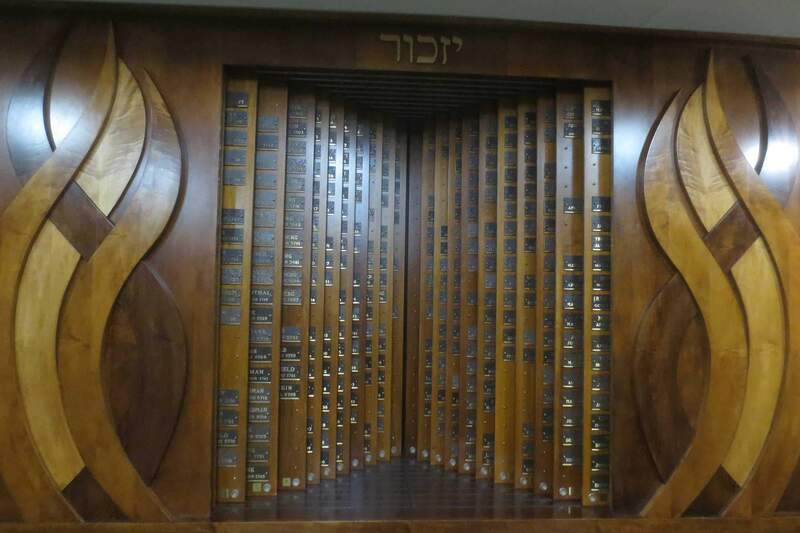 Chapel Memorial Plaque – For a donation of $500 you can inscribe your loved one’s name and Yahrzeit date.